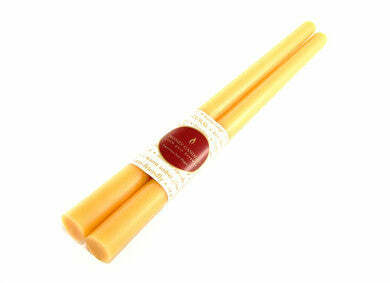 A pack of two 12 Inch Taper natural candlesticks. Simple and pure, Honey Candles® 100% natural beeswax taper candle is a staple of the dinner table and a wonderful addition to any romantic occasion. Long-lasting, with a warm amber glow and a soft honey aroma. Makes for a fantastic gift!